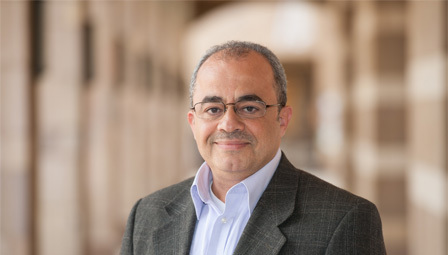 Al Jazeera spoke with Professor Emad Shahin, one of more than 100 people recently sentenced to death in Egypt. More than 100 defendants, including former President Mohamed Morsi, were sentenced to death in an Egyptian court this weekend over a mass prison break in 2011. The verdict – which will be referred to the grand mufti, Egypt’s highest religious authority, for confirmation – has sparked international condemnation. Sixteen others were sentenced to death for “espionage”, accused of colluding with Iran and the Palestinian group Hamas to destabilise Egypt. 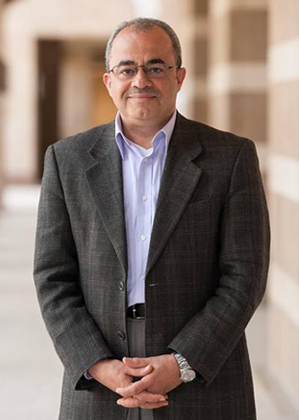 Among those sentenced in absentia was Egyptian political scientist Emad Shahin, a visiting professor at Georgetown University’s School of Foreign Service. In a statement, he denounced the verdict as a “travesty of justice”. Al Jazeera spoke with Shahin about the implications of Saturday’s verdict, along with the state of political and academic freedom in the country. Al Jazeera: What was your reaction to this verdict, and what does it say about the current state of affairs in Egypt? Emad Shahin: Everything should be expected, given the trajectory of the increasingly politicised judiciary in Egypt, its past style of sentencing and the rulings in previous cases. But I thought it was excessive. This has now become the routine or practice – mass sentencing, death sentences – not really paying any kind of respect to the minimum due process and requirements of justice. It’s really becoming excessive, and it’s sending a clear message on the part of the regime and on the part of the judiciary. The message on the part of the regime is very clear: They are using the judiciary as a way of suppressing and crushing any dissent. Those they cannot kill by live bullets and ammunition, they kill by executions and sentencing. It’s a message of intimidation – sort of state terrorism – against opponents, against defendants, anyone who dares to express some kind of opposition and dissent to the military coup. The regime is using this as a bargaining chip. If there are death sentences against politicians in highly politicised, highly fabricated cases, and then the regime is subjected to outside pressure and [President Abdel Fattah] el-Sisi commutes these sentences to life in prison, then he appears benevolent and merciful and responsive to appeals. It’s a win-win situation for him. Al Jazeera: You were targeted in this case after your public criticism of the military crackdown in Egypt. How would you describe the state of academic freedom in Egypt today? Shahin: It’s suppressed. I know so many cases where people cannot express their views freely. I know so many cases of instructions to academics not to address certain issues, especially with regards to civil-military relations. I also know colleagues who had to flee and leave the country. This is the essence of the conflict. It’s not between the Muslim Brotherhood and the military. The essence of the conflict in Egypt is between the restoration of military rule and control on the one hand and civilian rule, democratic rule, on the other… Popular oversight over the military and security, accountability and rule of law – this is the essence of the problem. They are trying to reconstitute an authoritarian, repressive security state once more, and that has to entail suppressing any voice of dissent. The judiciary as part of the deep state is helping them to do so and is settling accounts with the Muslim Brothers and the activists of the January 25, 2011, revolution. Al Jazeera: What would you say to scholars who have expressed solidarity with you, and is there any way to build on that solidarity campaign now? Shahin: I thank all of them and I am overwhelmed by their support. This solidarity means a lot and it scares dictators. The momentum needs to continue. When someone is supposed to take a stand and they don’t, you start the watershed of oppression, of bloodshed, and reversing everything back. I am grateful for the show of solidarity, but I’m not going to call on anyone to take a specific action; everyone has their own concerns, their fears, their insecurities. I know there is plenty to be done on the part of human rights organisations, academic organisations, policymakers. There is an immediate need to take firm actions to stop human rights violations in Egypt. Al Jazeera: Hundreds of people have been sentenced to death since Sisi took power. Do you think there’s going to be a point when this is too much for Egyptians, and there will be another uprising? Shahin: The indication or the signal for this to happen is the ability of Egyptians to see where military rule is taking the country. Six decades of military rule in Egypt, and look where we are now. Look at all the statistics and indicators regarding Egypt. We are on the bottom of most comparative data: health, literacy, corruption, competitiveness. We’re really in the bottom, and some people are still trying to go through another six decades of military rule. Once we have been through a clear failure, we have to change course and allow for a democratic system to emerge, and the minimum requirements of good governance to flourish in Egypt: accountability, transparency, participation, rule of law. But if you look now inside Egypt, it is a massive brainwashing process through the media and fear. All these unfilled promises, all this money poured into Egypt – they’ve had every single opportunity for success, and Sisi has squandered and wasted all of these. He is putting before the Egyptians a tough choice: Either the military rule and him, or chaos and explosions and radicalism. He is part of that problem. He created that problem. Al Jazeera: How would you characterise Egypt’s current political leadership? How can Egyptian citizens make sense of what is happening in their country? Shahin: Egypt is now being ruled by a military ruler who doesn’t have a vision. Despite all his rhetoric about the state, he does not trust state agencies. He doesn’t want elections or a parliament to restrict his authorities. He has asked the political parties to merge together; he doesn’t see any use for political parties or political opposition. And he is not allowing any kind of political space for people to express themselves. This is a man who likes to rule by mandate, not by elections. He doesn’t have an economic vision for how to jump-start a domestic economy. He doesn’t trust the private sector and they don’t trust him, nor is he a public-sector man. The driving force is the outside, the Gulf states, and the military, and he has turned the military into a sub-contractor, a broker. At some point, people will realise that all these promises, the military cannot fulfil them, and it will backfire. And that’s what actually helps some countries in the transformation from military rule to democratic, civilian rule. Al Jazeera: With regards to your case, what do you foresee will happen after it is sent to the grand mufti? Shahin: I really don’t know. Honestly, I never thought much about this case, because I never took it seriously. It’s a bargaining chip, a way of pressuring people. This mufti doesn’t have a good record of acting as a proper mufti. I don’t have any respect for him based on his record. And then there is another issue, of whether I will appeal or not. I can’t go back to Egypt under these circumstances. With assurances that there is due process and a fair trial, I would be happy to go back, but not under these circumstances. This is all political. Sisi doesn’t want to give room for reconciliation or a political solution, because he knows he is part of the problem. He built his raison d’etre on eradicating the Muslim Brotherhood, on eradicating dissent, on reversing the January 25 revolution – so if he reconciles, if he initiates a new beginning, that will undermine him. That would be his undoing. He is stuck and is taking the entire country with him into a gridlock.